Two Golf Devices in One! 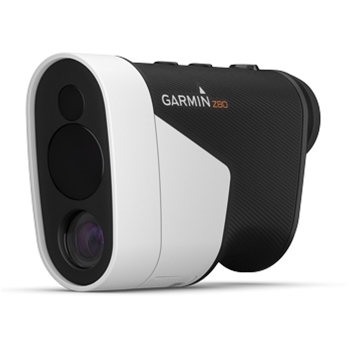 See your golf game differently with the Garmin Approach Z80. This laser range finder has a built-in GPS that provides you with the most accurate measurements on any course offering distance ranges of up to 350 yards with accuracy within 10” keeping you on top of your game through every swing. Preloaded with over 41,000 worldwide courses, the Z80 offers full color, 2-D CourseView mapping that will automatically determine what course you are playing on and will also provide par information and course layouts. Distances to the front and back of the green will be displayed on Z80 Approach along with hazards simultaneously, maximizing you’re playing time and minimizing time spent paging through different screens to see what’s critical for your time spent on the course. 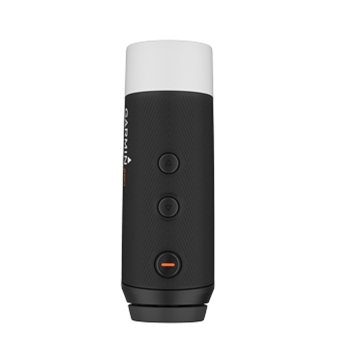 Built with image stabilization, the Z80 laser range finder makes it easier than ever to locate the flag and also provide you with accurate distances to the pin. The image stabilization works together with a 6x magnification zoom level providing every user clearer image of the hole being played, and, even provides you with a map overlay to show you the hole layout. The Laser Arc feature of this unit will physically draw an arc on the 2-D CourseView map to view everything in play at the specific distance you are looking at. 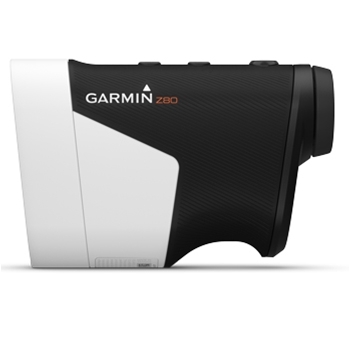 Make sure every swing is a successful one while on the course with the Garmin Approach Z80 Laser Range Finder With GPS. Laser Range Finder Accuracy to Within 10”. 2-D Mapping shows Distances to Hazards and Green. Adjusts Yardages for Uphill and Downhill Shots. Flag Finder Feature Locks on Flag for Precise Distances. Protect your Garmin Approach Z80 laser range finder with this durable carry case. Includes carabineer clip to easily attach to your golf bag.